While there are many similarities in utility-scale solar leases, there is no true “form” lease everyone uses. There are differences in language and provisions on matters such as property taxes, condemnation, termination, among many others. Having worked on over 35 solar farm leases, I have seen a variety of issues and concerns raised by landowners or their attorneys. These issues and concerns must be addressed while, at the same time, convincing the landowner and his or her attorney that certain provisions and language are necessary to ultimately meet the needs of the investors and lenders who will make the profits for the developer and the landowner possible and make the lease ultimately worthwhile for both the landlord and tenant. Steering through the proverbial rock and hard place takes empathy for the landowner and attorney and their concerns, while persuading them of developer or tenant needs and those of the financial parties. What you have to realize and have to convince the landowners is that there are people the developer has to negotiate for that are not at the table. The developer is negotiating on behalf of the investors and lenders who may not be identified until later in the process. The difficulty with many landowners is that they may be used to fairly simple crop or cattle leases for their land. These leases may be only 3-4 pages long. When the solar lease is sent to the landowners, it is key to let them know in advance that a long lease is coming and why it is so long. Many landowners are upset when they receive a 20-page or more lease with multiple attachments from a memorandum of lease to solar insolation easements, roadway easements, utility easements. Combined these documents may be 30 or more pages in length. This can be a bit of a shock to the landowner. Key to the process is the developer representative telling them in advance that the lease will be long and that it is designed to address the concerns of the investors, tax equity investors, and lenders. Spending a little time to explain briefly project finance and the specifics of solar project finance may give the landowner a better understanding of the need for the longer solar ground lease than the short crop or cattle lease they may be accustomed to seeing. Not surprisingly, the amount of rent is frequently negotiated. Rent amounts depend on a couple of things. One is the stage of the process. If a lease is signed rather than an option to lease, there are likely to be “Development Terms” in which the developer will conduct due diligence, apply for interconnection, look for a party to provide a power purchase agreement or hedge (usually in the form of a contract for differences), and find sponsor equity, tax equity, and debt. An “escalator” is frequently discussed. An escalator results in the rent increasing during the operating term on an annual basis. This is easier to justify if the PPA has an escalator built in to the contract. Without an escalator in the PPA, the developer must carefully analyze the economics of the project over 20-30 years to determine the impact of a rent escalator on the profits of the project. By “terms” I mean different periods of time and different rent payments. As mentioned above, there may be development terms in which the developer engages in the development of the process. The development term can be four years or more, and often is broken down into year-long terms in which the developer must send notice to the landlord and pay the next year’s rent to initiate the next development term. Construction terms are of course the period in which the project is constructed. Construction terms can be two years or more. Finally, the operating term is the period in which the project is constructed and generating electricity. Operating terms can be up to 40 years or more and can be divided into an initial operating term followed by several extensions. This sounds relatively straight forward. However, if a property is say 600 acres, not all of the property may be leased. In addition, the lease may provide for the ability of the tenant to exclude areas with wetlands, rivers, streams, trees, endangered or threatened species habitat, and other reasons to exclude certain areas of the property. Thus, the final leased area may be smaller than the original area stated in the lease. The default and termination provisions tend to be different than typical leases. Failure to pay in a non-solar lease generally has a short time period for a landlord to expel a tenant. This is not the case in solar leases. Millions if not in excess of a hundred million dollars will be invested in a solar project. How payment defaults are dealt with may require longer terms to terminate and rights of investors or lenders to step in and receive notice of default and their own cure periods. Nonpayment defaults are similarly more complicated than a typical lease. To some extent, the financial party provisions may be the most important of the solar utility lease. A “bankable” lease is necessary to ever make any money on the lease both for the developer and landlord. It is in both their interests to ensure the lease provisions meet the expectations of the investors, tax equity investors, and lenders. Otherwise, the negotiations may be in vain and the project will never go forward. As stated above, explaining this to the landlord and its counsel is critical. Who pays, for what type, and under what circumstances a tenant will be required to pay property taxes is very important in the context of solar farms. Of course, the tenant will be expected to pay the property or ad valorem taxes on the solar facility itself. In Texas specifically, property taxes and reductions in property taxes may determine the profitability of projects. Because the properties are often under an agricultural use prior to the lease, the land may be exempted from or reduced taxes may be charged. As a solar facility is built, the taxes will increase dramatically. In some states, Texas in particular, “rollback taxes” are charged to the landlord for several years prior to the change in land use, and who pays these is frequently negotiated. The risk of condemnation may be low, but if it occurs, the impact could be devastating to the solar farm. Thus, the condemnation provisions of the lease are frequently negotiated. Who gets what in terms of dollars if a condemnation occurs, who may settle, how must the parties cooperate during the process, and valuations of the solar project and the lease interest are issues that are frequently negotiated. Mineral interests or oil and gas interests are key issues in solar leases. In Texas for example, the mineral estate has the dominant estate, and can use the surface for drilling and access to and from the drilling or production area. This of course could be a serious problem for solar farms as they take up most of the area of a particular tract of property. Surface waivers and reservation of drill sites, or both, may be means of addressing these oil and gas or mineral rights issues. While solar farms present little environmental risk, landlords tend to want protections for tenant spillage or release of harmful chemicals. Tenants need to protect themselves for environmental contamination or violations existing prior to the effective date of the lease and that are not caused by the tenant or related parties. This can be covered by covenants and indemnification. Insurance coverage and the amount of coverage arise in all leases. The landlord frequently insists on a lot of insurance which the tenant may not feel is necessary for a solar farm, which involves little risk if people are kept away from the electrical generation equipment. While a large amount of water is not needed for solar farms, an adequate amount is needed for washing off the panels to keep them operating in a higher efficient manner. Negotiations to access landlord wells or to drill wells is key in a solar lease. At times, county or city water supplies may be tapped into and easements may be necessary to access that water source. What can be torn down, cut down, and filled in frequently comes up in solar lease negotiations. Barns, old houses, fences, ponds and other structures or installations may need to be torn down, cut down, or filled to allow installation of the solar racks and panels. After the lease term or after termination for any other reason, the tenant generally is required to remove the solar equipment and other material or equipment. Discussions of when and what time period is allowed to remove the solar farm is generally a part of a lease and can be an item requiring significant negotiation. Restoration of the land is another aspect of leases that can be of significant concern to landlords. More and more, financial parties look for limitations of liability in terms of a stated dollar amount above which the tenant and the financial parties will not suffer liability. In addition, exclusions for consequential, indirect, and punitive damages are expected as well. These are key issues that some landlords may object to at first. Investors will generally look for developers to be sure that adequate limitations are contained in leases. Solar leases are more complicated than most people may expect. 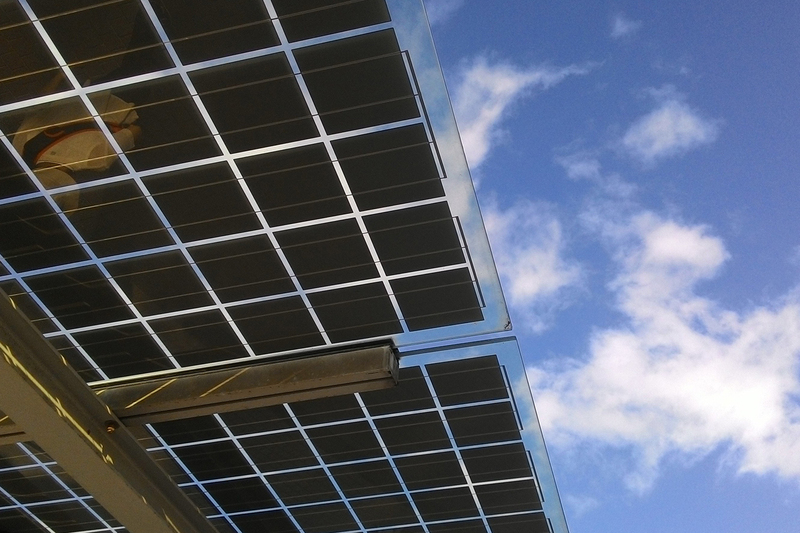 Being able to communicate and negotiate the clauses and issues discussed above is a prerequisite to and a foundation of a successful solar project. Ensuring that the lease will satisfy investors and lenders will be a first step toward a solar project that actually comes out of the ground and produces the electricity and revenue to reward both the landlord and the tenant. It is thus beneficial to both parties to negotiate a bankable lease. Scott Deatherage is one of Texas’ leading environmental and energy lawyers with over 30 years of experience in achieving successful outcomes for his clients.